 On May 24th Vision Wave Weddings attended the wedding of Terrie-Ann Edwards and Kevin Roberts at the Moat House Hotel in Stoke-On-Trent. The whole day was full of fun and laughter, with Terrie-Ann, Kevin and their families being so easy and friendly to work with. Vision Wave Weddings would like to wish Terrie-Ann and Kevin all the happiness in the world for their future together! Terrie-Ann and Kevin booked the Gold (Tier Four) wedding video.